For over 20 years, Aspiring Guides has offered guided wilderness walks, mountaineering, ski touring and instruction courses. 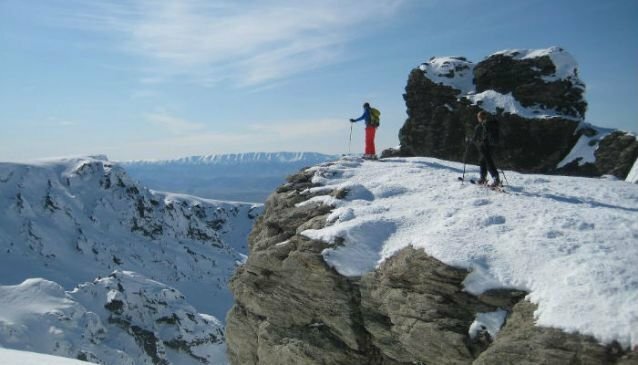 Run by professional and fully qualified mountain and ski guides, they are the professionals for guiding in New Zealand. Specialising in guided ascents of Mt Cook and Mt Aspiring, Aspiring Guides also offer introductory and advanced Mountaineering Courses and amazing Winter Ice Climbing, Ski/Snowboard Touring adventures and Backcountry Avalanche Awareness courses. Wild Walks trekking offers remote small group hiking adventures during the summer season. Adventure trips range from one to seven days, or you can tailor your own exciting trip with their private guided package. Whether your desire is to take those first steps into the world of mountaineering, develop state-of-the-art climbing techniques, reach a summit, join an expedition, learn ice climbing, go ski touring or just take time out in the mountains, join Aspiring Guides for a safe and enjoyable mountain experience.